Enjoy the rich style of berber carpeting with its complimentary "flecked" yarns and large, nubby loop texture. This specially blended yarn provides the crush and stain resistance of Nylon with the strength and fade resistance of Polypropylene. The commingled, multi-tonal yarns help hide surface soiling and matching cloth velour edge can't unravel. 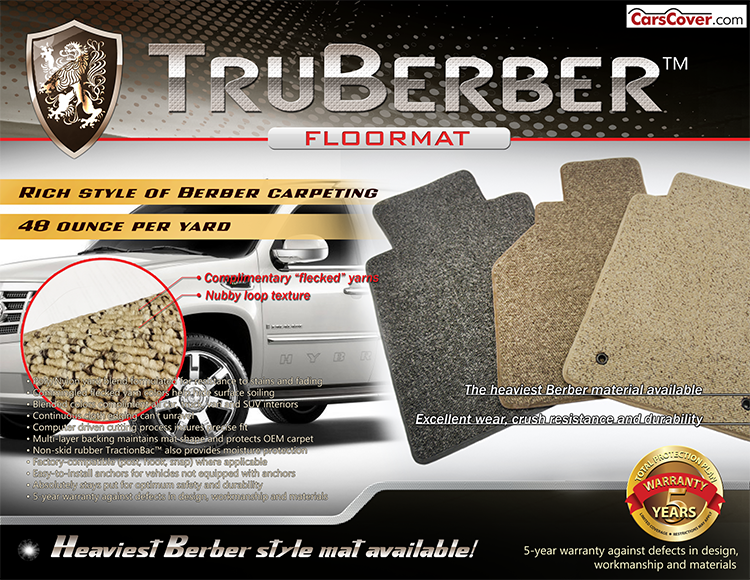 With a face weight of 48 ounces per yard, TruBerber is the heaviest berber style automotive mat available. 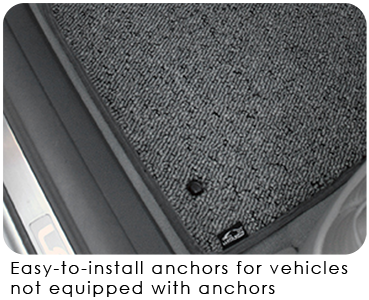 All of our Mats are designed with greater coverage and protection than OEM mats and are equipped with factory compatible anchoring devices or our easy to install anchor hooks. 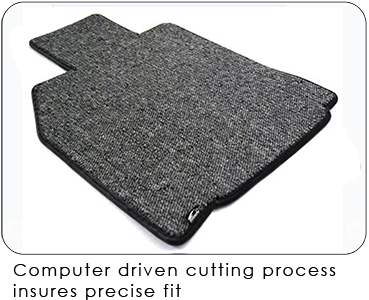 Our excellent custom fit comes from precise computer designed patterns and computer controlled cutting technology. 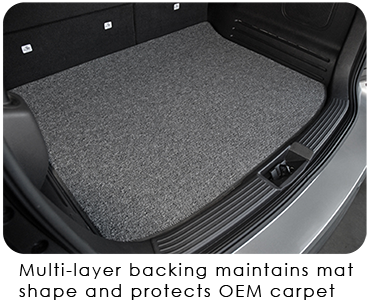 TruBerber Mats are available with over 1000 licensed automotive trademarks, lifestyle and personalized designs to customize and enhance their appearance. TruBerber provides a unique, practical enhancement for any vehicle. 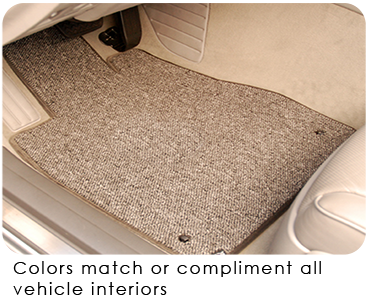 TruBerber brand of heavy duty Berber carpet construction with commingled yarn colors adds a distinctive style to any vehicle.